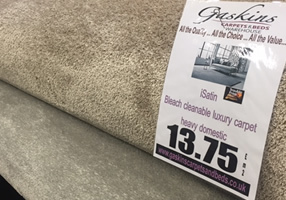 Easy clean luxury heavyweight, stain resistant carpet, fully bleach cleanable! Available in two heavy wear qualities! iSatin bleach cleanable luxury carpet! Heavy wearing soft feel in contemporary colours. 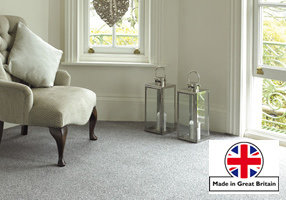 Classic looking heather twist carpet, suitable for heavy domestic wear. In neutral colour tones. 100% Bleach cleanable polypropylene textured hi-lo loop and twist pile carpets. Latest fashionable colours, built in felt backing for direct to floor fitting. (Or to be fitted with underlay).